We are Expart in Design & Detail Engineering,Manufacturing,Supply & Exporter of Steam Piping & Exhaust Steam Piping. Our honored clients can take from us a broad range of Steam Piping. The offered steam piping is manufactured with precision by utilizing top quality factor inputs that are obtained from reliable sources of the markets. According to the industry norms, our steam piping is demanded across the nation due to its quality. 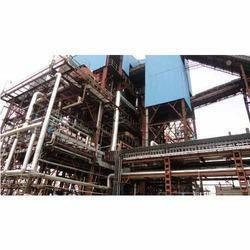 The offered array of steam piping is accessible in different specifications according to the customer’s requirements. This steam piping is availed from us at reasonable rates.